The value of minimally invasive pancreatic surgery (MIPS) is still debated. 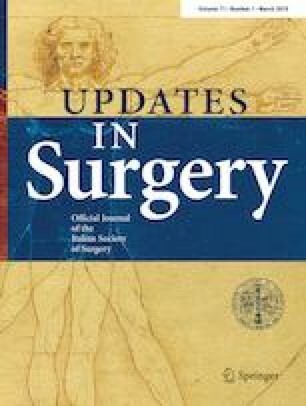 To assess the diffusion of MIPS in Italy and identify the barriers preventing wider implementation, a questionnaire was developed under the auspices of three Scientific Societies (AISP, It-IHPBA, SICE) and was sent to the largest possible number of Italian surgeons also using the mailing list of the two main Italian Surgical Societies (SIC and ACOI). The questionnaire consisted of 25 questions assessing: centre characteristics, facilities and technologies, type of MIPS performed, surgical techniques employed and opinions on the present and future value of MIPS. Only one reply per unit was considered. Fifty-five units answered the questionnaire. While 54 units (98.2%) declared to perform MIPS, the majority of responders were not dedicated to pancreatic surgery. Twenty-five units (45.5%) performed < 20 pancreatic resections/year and 39 (70.9%) < 10 MIPS per year. Forty-nine units (89.1%) performed at least one minimally invasive (MI) distal pancreatectomy (DP), and 10 (18.2%) at least one MI pancreatoduodenectomy (PD). Robotic assistance was used in 18 units (31.7%) (14 DP, 7 PD). The major constraints limiting the diffusion of MIPS were the intrinsic difficulty of the technique and the lack of specific training. The overall value of MIPS was highly rated. Our survey illustrates the current diffusion of MIPS in Italy and underlines the great interest for this approach. Further diffusion of MIPS requires the implementation of standardized protocols of training. Creation of a prospective National Registry should also be considered. The online version of this article ( https://doi.org/10.1007/s13304-018-0535-3) contains supplementary material, which is available to authorized users. We thank the “Associazione Italiana Studio Pancreas” (AISP), the “Italy National Chapter of International Hepato-Pancreato-Biliary Association” (It-IHPBA), and the “Società Italiana di Chirurgia Endoscopica” (SICE) for the creation, patronage and active support of this survey. We also thank the “Società Italiana di Chirurgia” (SIC) and the “Associazione Chirurghi Ospedalieri Italiani” (ACOI) for their endorsement and logistical support for this survey.